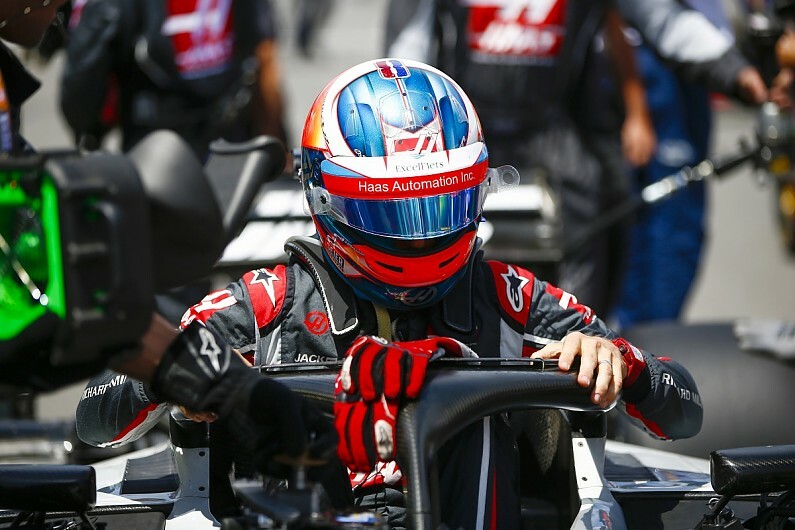 Romain Grosjean has described Haas’s Canadian Grand Prix update package as the best one the team has produced during its time in Formula 1. The American squad brought a significant set of upgrades to Montreal, although an engine problem for Grosjean at the start of qualifying prevented him from taking part in a session where he believed “seventh was in our pocket” behind the leading teams. Grosjean felt more comfortable with the updated car than team-mate Kevin Magnussen, who qualified 11th and struggled to make progress in the race. But the team believes on more conventional circuits the performance of the car in its latest spec will become clearer. When asked by Autosport how the update compared to what he’s seen from the team since it joined the grid in 2016, Grosjean said: “It’s the best one. The biggest one, and the best. “The upgrade is very nice – from the first lap in FP1 I knew it was going to be. “We’ve got some good front end [grip] there, which I’m very happy with, and more downforce in general. “Kevin was struggling more with the rear, whereas I don’t mind that instability. Magnussen believes the team would have been off the pace in Canada without the performance step provided by the new parts. “We knew this track was not going to be ideal for our car, because we are not the strongest in low-speed corners,” he said. “But we have a clear feeling that our upgrade has delivered what we expected it to, and without it we would have been a lot worse. “It’s a development race, so the other teams are developing their cars as well, but I’m confident as it stands now, with this upgrade, we would still be in the race for fourth best car. Team boss Gunther Steiner was encouraged by the upgrade delivering what was promised from the data provided at the factory. “It was always the plan for this to be the best upgrade we’ve had,” he said. “Before we introduced it we looked at the numbers from the windtunnel and it was obvious that it was the biggest gain we’ve done. “We had this at the beginning of the season with this car, when we went through the numbers from the Barcelona test.